70% of Instagram content goes unseen. Ever wondered why that carefully created photo (or instant snap, for that matter) that you posted on Instagram only received one or two likes? You thought it was a great pic…. they obviously didn’t. You gave it a caption (title) and then you waited….and nothing happened. 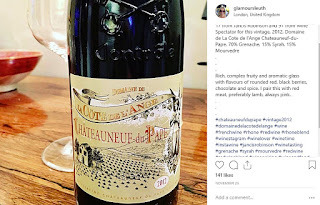 Having scrolled through thousands of Instagram posts over the last few months – posting about wine and food – I learnt the hard way that a post without hashtags is a post that most probably won’t be seen, and certainly won’t bring you lots of followers and likes. Hashtags are how people interested in your subject or theme find you on Instagram. They’re the keywords for your subject and your post. 2. Do hashtag research – don’t guess - use the Instagram app or your desktop (which I find easier) to find hashtags relevant to your post and immediately see how many posts there have been for that hashtag. You can use a hashtag finder such as http://best-hashtags.com/ but try and get as specific to your subject as possible. 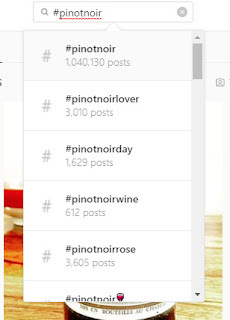 For example don’t use ‘#PinotNoir’, use ‘#SantaBarbaraPinotNoir to search. So to recap, use Instagram to give you hashtag suggestions from the search box, use relevant hashtags, and stay away from generic highly competitive hashtags as much as possible. 3. Write an interesting caption – it doesn’t have to be too long – although some people write seriously long posts. 4. Then separate your hashtag list from your caption by using … or .return .return .return (dot return). This looks much better than having your hashtags as part of your caption. 5. If, as you should do, you specialise in one theme, such as wine, food, food and wine, travel etc, build up hashtag lists so that you just have to edit them when posting to change out those which are not related to your photo and add in those that are more relevant. If you’ve received a lot of attention to a post with particular hashtags relevant to your picture, you can copy your hashtag list from that post – go to the post, click on the three dots on the top right then click on edit/tap on the list and click on select all/copy. Then go to your new picture and paste. You’ll get everything, including your original caption and some hashtags you’ll want to change, but they’re easy to edit from your new post to be. If you want to get found on Instagram you need to use hashtags. Sometimes you’ll find a post that doesn’t appear to have any hashtags. Hmmmm. Check the comments. Somewhere in there you’ll find a comment by the writer of the post which includes their hashtags. Clever? No not really. It makes the post look better, but to do this and have it work they’ll be using a post scheduler – I’ll write about those soon. Turning your Windows laptop or tablet into a desktop with a large monitor is a breeze, as long as you have the right cables and adaptors – and the monitor of course. There's nothing very high tech here and anyone can do this. If I can, you can. When my 11 year old desktop tower PC died a few months ago I changed it for a Lenovo IdeaPad 520S which is lightweight and great for travelling. It has a 14” screen which is ok while on the move but a bit small for every day. I also had a Microsoft Surface Pro 3 but I found the screen too small, so I set off on a mission to enable me to use my Surface as my ‘Desktop’ by attaching a large monitor – or largish, by today’s standards anyway. There are three types of connectors you need to know about; VGA, HDMI, and Mini DP. There are others but these are the most likely you’ll come across if you’re just trying to hook up your device to a monitor. VGA is the old style connector and you’ll still find it in the box of a lot of monitors. In fact it is still frequently the only cable in the box. One came with my Acer monitor. That’s the one I am using at present as I already had a Mini DP (Display Port) to VGA adaptor. HDMI (centre above) or High Definition Multi Media Interface, has the ability to carry video and audio over a single cable, and is very good for watching movies and TV shows on your monitor or connected to your HD TV. Many monitors come with a VGA old style connection and an HDMI connection, newer monitors will come with HDMI plus possibly a Mini Display Port connection. 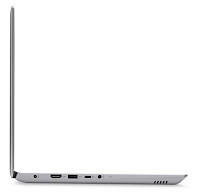 Mini Display Port - The other connector and port you may find is the Mini Display Port (on the right above) with is to be found on Surface laptops and tablets. Please note I am only talking about Microsoft here and not Apple devices, where you’ll probably need a Thunderbolt 3/USB C to HDMI connector. Again Amazon is going to be your cheapest bet. So choose the monitor you want depending on what you want it for. Mine is a quite basic Acer 21.5” monitor and works perfectly for my needs. If you want something larger, or curved even, there’s a huge choice out there and you can, if you want, spend a small fortune. 1. What ports are available on the device you want to connect (laptop or Tablet). 2. What connections are available on your chosen monitor and what’s in the box. Most newer laptops now don’t come with VGA ports. My Lenovo has HDMI and my Surface Pro has a Mini DP port. If your new monitor comes with a VGA cable and you’re happy to use that (as I am at the moment) you’ll need a Mini DP to VGA Adaptor which will cost you about £6 at Amazon. Alternatively you’ll find adapters for all types of connectivity. The reason I say know in advance is because if you walk into any computer r electronics store you’ll probably find they won’t have the adapter you need or they’ll want to charge you far more than you need to pay. What is SSD - and why do I want my next PC or Laptop to have it? 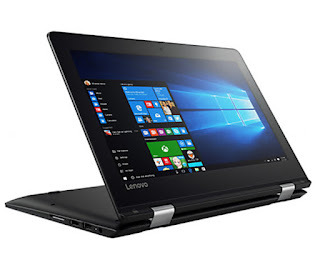 Recently I wrote about my new Lenovo Ideapad 520s which I bought when my 11 year old PC died. Talking to a tech geek just before my PC crashed for the last time he said to me 'whatever you do don't buy a new laptop or desktop without SSD'. I didn't comment as I really didn't know what he was talking about. However when I looked for the specs for my new laptop I made SSD one of them. The difference: Solid State Drives (SSD) and Hard Disc Drives (HDD) are the two types of storage on offer for your PC or laptop. SSD stores data on microchips using flash memory, whereas HDD uses a mechanical head with a read/write arm. HDD has been the only option for a very long time until the emergence of SSD. SSD is called that because nothing physically moves, so it is 'solid state'. Initially solid state drives were much more expensive than the traditional hard disc drive which put off a lot of people, however prices have now come down to the level that you can find similar laptops and desktops with SSD or HDD and more and more have SSD as standard. Be certain, however, that you aren't fooled by the price - increased SSD storage will cost you more. 1. SSD devices are much, much quicker than hard disc drives, to boot up and for use in general. 2. Solid State drives tend to be more durable, because there are no moving parts to wear out. 3. SSD laptops tend to be smaller and lighter than the alternative, because the drives themselves are lighter - making that laptop you want to take with you everywhere much more portable. The only drawback with SSD is that if you want a really good storage capacity you will have to pay more than for the equivalent HDD, so it really depends on how you use your laptop/PC. Buy the most storage you can afford. Just to put you in the picture; I do a lot of travelling, I always carry my laptop with me and the two computers/laptops I used the most at home and travelling both managed to crash irretrievably at roughly the same time. As a tech addict this appeared to be a disaster. My PC was eleven years old and I took the view that although I liked the large monitor there was no point in replacing it when I wan't there to use it. I already had a Surface Pro 3 which I could use as my laptop although in the real sense, it isn't. Surface Pros are fast and convertible but I didn't like the keyboard you could use as a cover and so that means a separate keyboard if I want to use it as a laptop. So I decided to replace my PC with a laptop, and in due course I'll buy a large monitor to plug it into using the HDMI or Thunderbolt port when I'm staying in one place for any length of time. It was off to John Lewis to look at what they recommended and I have to say that they were so much more helpful than PC World it was a whole different experience. They were, for the laptop I purchased, also quite a bit less expensive. My requirements were simple - I wanted a proper laptop, it had to be lightweight, have at least Core i5 and 8GB Ram plus SSD and a 14'' screen. 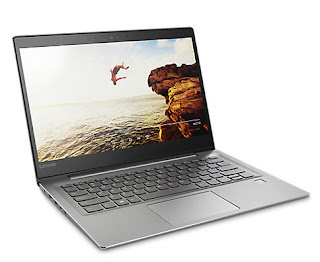 It didn't take me long to settle on the Lenovo Ideapad 520s. This is an excellent workhorse laptop you can take anywhere with you. It looks nice, It is very lightweight, and I'm happy with the keyboard although it isn't quite as tactile as my old HP. As I don't like a trackpad mouse I've attached a small wireless optical mouse to it with a mini USB. There are two USB ports, one on each side, the aforementioned HDMI port, Thunderbolt port and headphone/speaker port so there's plenty for most people to work with. I particularly like the thumbprint login which is extremely fast, and the sound which is better than expected, you don't really need to plug in external speakers unless you really want to make a huge amount of noise. I use my Lenovo Idea pad for basic Office applications, web browsing, streaming TV shows, photoshop and more, so nothing out of the ordinary. I've had it for about four weeks and so far I can't fault it other than the battery life which is not as good as I'd hoped. 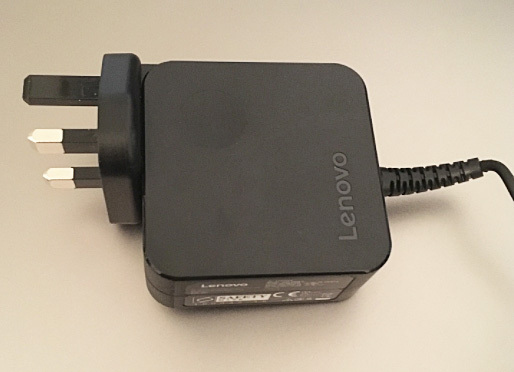 I'd also say that if you want to travel with yours to the US you need to get a proper UK to US adapter with grounded pin as the charging block is also the wall plug, this makes plugging into something off the ground with a normal US adapter not as stable as it should be. 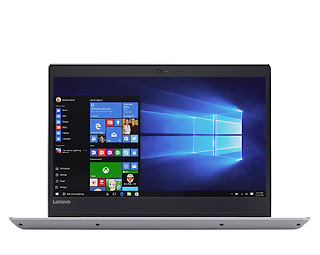 If you're in the market for a well designed laptop this could well be the one, not as expensive as so many others, but including features you'll find on splashier laptops. Did I mention it folds out flat? I haven't worked out a use for that yet I have to admit. The Art of Complaining in 2018 - are you an Alpha Customer or a Roll Over? Anyone who has complained about anything - and that's pretty much all of us - will know the frustration of being put on hold, having been made to wait for ages, and then being fobbed off without a resolution. I'm currently out in Dallas and someone back in the UK didn't receive something I sent them just before I left - as this is on the way to being resolved I'm not naming any names here, but you'll all recognise the experience I'm sure. I used a well known delivery service aggregator - who connects those who want something delivered with various delivery companies - to select my delivery method, which was a one day service with UPS. I left for the US, and two days later I was told that my parcel didn't arrive, although UPS stated on the tracking that it had been delivered. I called UPS and the delivery service aggregator, many times. This became extremely stressful as I was promised call-backs and response emails which never happened, I was kept on hold for ages etc etc - you all know about this. What made it all so much worse was that I was told a different story just about every time. Yesterday afternoon I decided I'd had enough. I sent a 'slightly stroppy' but fully factual email to the delivery aggregator asking for a manager to deal with the problem. I looked them up on Twitter, followed them and tweeted a couple of messages about lack of service. I also went on LinkedIn and sent contact requests to everyone I could see who worked at this company at the top - no replies yet but I did get a result. This morning I woke up to a message on Twitter and a resolution offer by email. But having had to spend a whole week trying to get this sorted has been tough and demonstrated seriously bad customer service. Now I have manager service, the manager's name and phone number and a promise of resolution. Know in advance that despite the adage 'the customer is always right' - most retailers and service providers of most products and services will try , unless you're buying, to get rid of you as fast as possible, and may well try to fob you off. This is true of just about everyone I have dealt with with the exception of Amazon and John Lewis. Document every phone call and every email where you have tried to get resolution. Make sure you have all the facts, then demand - politely of course - to speak to a manager/supervisor. These will want to get you off the phone as well, but they'll have the authority to do something and will recognise you as an 'alpha customer' - someone whose not just going to go away, rather than a roll over. Roll overs rarely get to speak to managers because they don't persist. Go on Social Media, find the company you have a problem with, follow them and then send them a polite and public Tweet/message saying you have a problem and you're not getting resolution - obviously if you're not on social media this is going to be hard so get with it because it can be very useful. Offline you're no one. Online you're someone and far more likely to be heard. No company wants their reputation tarnished online. The most important part of all of this is to be an alpha customer, to insist on speaking to someone senior as fast as possible so you don't waste your time, to use social media to your advantage and be insistent of service. In this day and age there's no reason not to be heard. This may sound like a rather jaundiced review of customer service but I have had it happen to me far too often. The dictate at the top may be to keep the customer happy, to turn one time customers into loyal advocates etc etc, but regularly down the line advocates are being turned into enemies by short sighted staff who just want to get on to the next call. Maybe they want lunch. Maybe they have a queue of calls waiting, maybe they got out of bed the wrong side. Unfortunately the only thing that pays for you as the customer is to be persistent and make your voice heard. The first impression someone makes of you is the most important, and it will be based on seeing you first and what you have to say, second. Think about meeting someone, you look at their face, their clothes, their demeanor long before you listen to what they have to say. Online you can't judge by what someone is wearing as you do in the real world, so you can only judge by someone's face. The same translates into the online world and even more so to LinkedIn, where someone may be interested in your talents, have found you in search, and wants to know more about you. If you're faceless, they'll be unable to 'meet you' online, and they're far more likely to move on fast. 1. You're 'faceless' otherwise. You could be anyone. Yours could be a fake profile. You're missing the most fundamental part of a social media connection - what you look like. You may think this is unfair, you may not like the way you look, but get someone to take a picture of you on a simple background and show your face. Many fake LinkedIn profile's have no photograph, make sure that no one can think for a second that your profile could be one of those. 2. You come over as being lazy. Not bothering. No matter how long you've taken to create a carefully crafted profile if you haven't put your photograph on LinkedIn you might just be one of those 'I can't be bothered to finish that' people. So I'll go elsewhere. 3. People are far less likely to want to connect to you, let alone contact you. The fundamental of social media is that you do put your photo on each and every site you interact on, be it Facebook, Twitter or LinkedIn. LinkedIn requires a simple, more businesslike photo than these others, but if you want to make the most of your profile, and your chances of coming across like minded people, you need your picture there. Having your picture on LinkedIn creates trust, not having one there creates doubt. At the top is the blank photo icon everyone has who doesn't have their photo up. Don't be one of those. You'll struggle to maximize your profile. And I definitely won't connect with you. Yesterday I downloaded iOS 11 for iPhone and iPad. As someone who is not a tech nerd but always wants the latest upgrades I thought I’d relay some of my experience and what you need to do first. One of the things that makes life a little confusing is the different functionality for iOS 11 between iPhone and iPad so I’m going to split the information completely between the two, starting with iPhone. There’s also so much going on for both that I’ve found it helpful to split it into individual components rather than try and take in the whole thing at once. The upgrade is much wider for iPad and less so for iPhone – these are things you need to know for both that will make life easier. 2. Back up your phone into iCloud by going to Settings/Account/iCloud/iCloud Backup/Backup Now and wait until the backup is confirmed. If you don’t use iCloud, which I sincerely suggest you do as your backups will be automatic, you can backup your phone into iTunes either wirelessly or using a cable and these Backup Instructions from Apple. 3. Check to ensure your device is compatible with iOS 11 – see the chart above. 4. Allow Enough Time – You can’t download iOS 11 in a hurry. You should preferably be plugged in and with a full WiFi connection. Then go to General/Software Update and you’ll see the new update. Start the download. 5. Customise your New Control Center Whereas in iOS 11 your lock screen and music center were on two separate screens, now they’re on one. This takes a bit of getting used to but to my mind is a great improvement, and you can add features you want and take out others you don’t. To customise your control center go to Settings/Control Centre/Customise Controls. There you’ll find all the options – so you can add Wallet, Low Power Mode, Magnifier and Do Not Disturb While Driving (plus others) and remove anything you don’t want to see extremely easily. Just swipe up from the bottom of your screen to get to the Control Center. Swipe down from the top edge of the screen to see all your notifications in one place. On each on you can swipe up from the middle of the screen straight after unlocking it. On each notification swipe right to Open, or left to View, or Clear each one individually. As before you can hit the X at the top of each day’s Notifications to Clear the lot. If you want to change your notifications go to Settings/Notifications and set what you want and don’t want to see.